For nearly seven decades Salomon have existed at the apex of performance mountain wear. With a commitment to innovative design and passion for mountain sports, Salomon have created a vast range of revolutionary new concepts in bindings, boots, skis and apparel for both alpine and nordic skiing and brought innovative solutions to footwear, apparel and equipment for snowboarding, adventure racing, mountaineering, hiking and trail running. 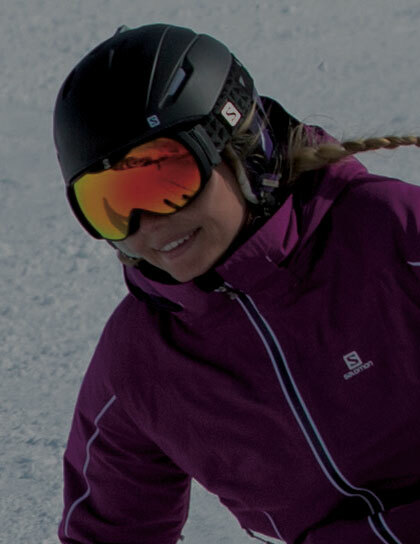 This range of Salomon goggles is the embodiment of a lasting passion, providing quality eyewear fit to be worn by professionals and enthusiasts alike. 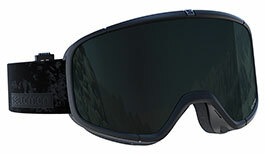 New Sigma contrast-enhancing lenses are one of the best tools in your hunt for all-day all-weather enjoyment on the snow. 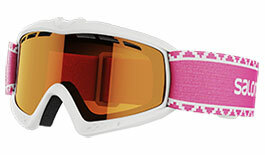 Salomon's unique Custom ID Fit technology delivers a seamless fit with no gaps and fit so comfortable you'll forget you're wearing goggles at all! Whether you prefer the low-profile look of cylindrical lenses or the unbeatable optics of the spherical shape, Salomon have you covered. 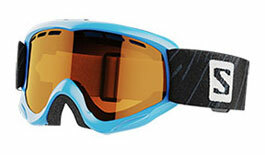 If you have a keen eye for coordination then these goggles will pair up perfectly with our range of Salomon snow helmets. Salomon was born in the French Alps in 1947. Their passion for mountain sport progression, product development, quality and craftsmanship drives them to create progressive gear. Salomon return for another winter at RxSport. We're really excited about what these alpine masters are bringing to the table, with new designs and ground breaking lens technologies keeping Salomon goggles at the forefront of winter eyewear. 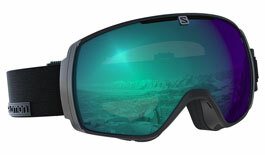 A new design for 2018/19 is the S-Max, a near-rimless spherical goggle. Familiar names return, including the X-Max which offers some of the best peripheral views on the market, and the entry-level Aksium which is a great choice when all you want is to get on the snow fuss-free! The S-Max leads the way with a near-frameless design delivering incredible peripheral views. The throwback cylindrical lens Four Seven, celebrates 70 years of Salomon. The new iVY's anatomical fit makes for one of the most comfortable fits on the market. 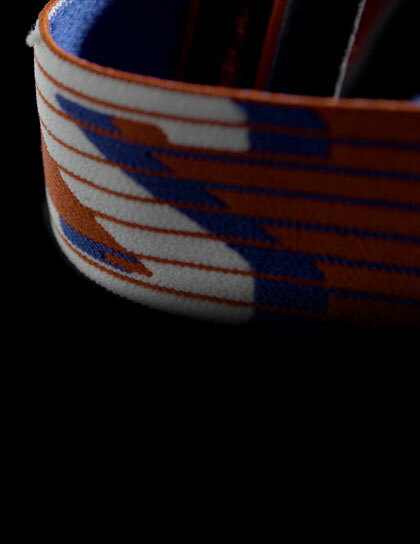 For those who prefer cylindrical styles, the Sense returns to tick all of your boxes. The Juke is a stylish pick for older kids and is OTG-friendly for those wearing eyeglasses. The Kiwi is for those just starting to find their feet on the snow. 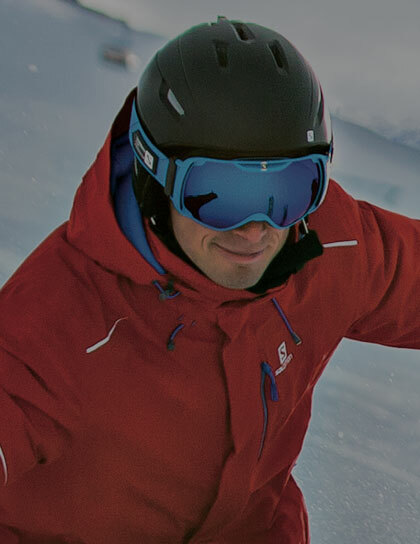 Salomon's proprietary Sigma lens technology is designed to increase visibility in a wider range of light conditions, enhancing the eye's natural ability to identify irregularities in terrain, meaning you can take to the snow with greater confidence. By blocking specific wavelengths of light, Sigma lenses filter out unnecessary visual information to give the clearest possible picture of the snow. Sigma lens technology is available on select colours of the Four Seven, iVY, S-Max and XT-One. 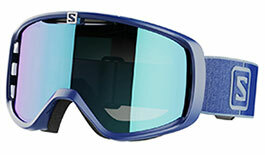 Salomon have given attention to the finest details in their goggles. From the lenses, to the frames and straps, everything combines to create a product you can depend on. The priority when developing these goggles in two key areas: maximising peripheral vision and creating the most comfortable fit possible. The most dedicated skiers will find their match here! 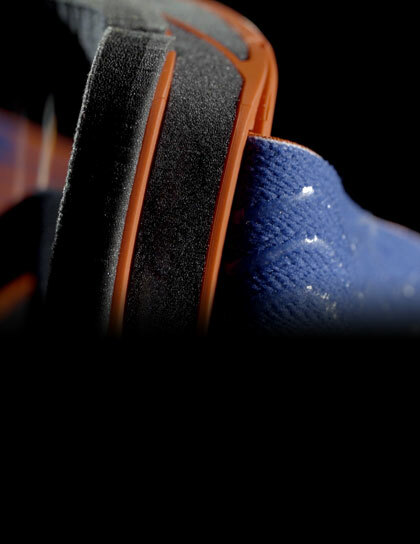 Selected models come equipped with a plush, multi-layer face foam. 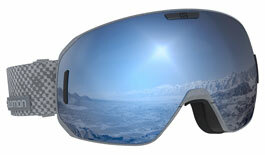 Using a moisture-wicking fleece liner, moisture is kept out of the canopy to reduce the risk of lens fogging. Shaped like a face-print, engineered like a human face. Custom ID fit is an articulated frame and foam structure that automatically moulds to individual face shapes, for enhanced comfort and performance. 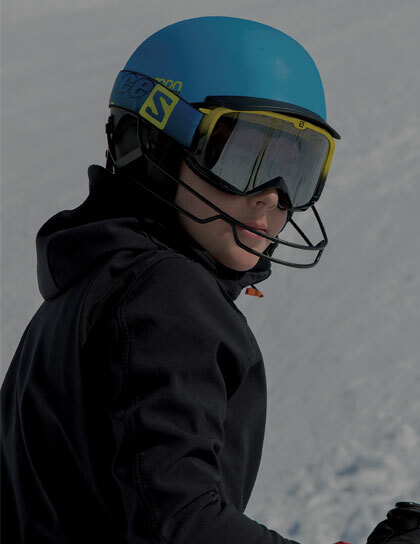 An articulated frame precisely matches individual facial features, creating a perfect seal around the face to keep cold air outside of the canopy, reducing the risk of lens fogging. A fit so good it can be forgotten when worn! 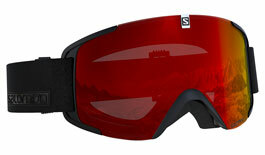 Salomon have given full consideration to complete head protection on the snow. These goggles will fit seamlessly with Salomon's extensive range of helmets, featuring a raft of impressive tech features. 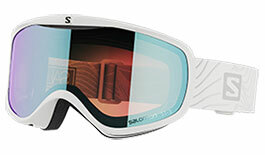 If you're looking for a companion lid to go with your new Salomon goggles then look no further! 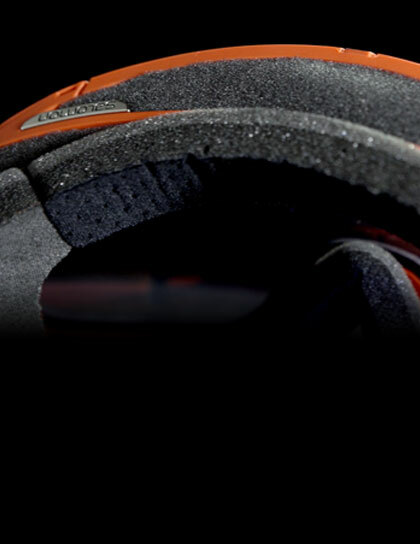 Features such as the revolutionary EPS 4D are changing the way helmets keep us safe. Check out the range! 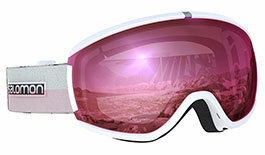 Building on years of sports and optical experience, our experts have broken down Salomon's lenses. Mixing our expertise with your feedback, we have picked our favourites for every condition. For bluebird days Solar Black cuts through intense light to vastly improve viewing comfort. Infrared ticks the same boxes with an eyecatching mirror finish, while the mirrored Tonic Orange tint provides mild constrast enhancement. If you something that can do everything, the All Weather Photochromic lenses are for you, auto-adjusting their rose base tint based on natural light levels. For fixed-tint lenses, the new Sigma lens does a great job in changeable conditions. When the coud draws in you need to amp up your vision with strong contrast enhancement. Low Light Yellow does an excellent job in whiteouts or under lights at night. In slightly brighter weather, Tonic Orange is your go-to.